Protesters rallying against the incumbent Serbian government of President Aleksandar Vucic demonstrated in downtown Belgrade, capital of Serbia, on April 20, 2019, marking another Saturday of anti-government protests since December 2018. Chinese Prime Minister Li Keqiang arrived in Croatia on Thursday, Apr. 11 ahead of the 16+1 Group’s annual summit. The 16+1 Group, initiated in 2012, is a symbol of China’s concentrated effort to increase its presence and influence in the Central and Eastern European region. Developments on Wednesday, Apr. 10, 2019 revealed that British-Dutch oil and gas company Shell will no longer be moving forward with the Baltic Liquified-Natural Gas (LNG) Project with Russian state-owned gas company Gazprom. 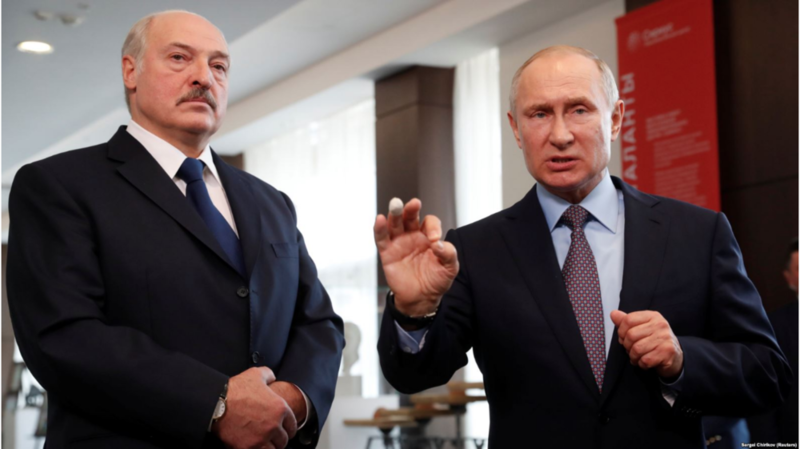 The Baltic LNG Project was initiated between the two companies in mid-2016 as a joint effort to produce over 10 million tons of LNG in the Leningrad region. Following an official announcement made on behalf of the Baltic LNG Project on Mar. 29, 2019 concerning the project’s final development phases, no mention was made of Shell within the context of the plans for continuation. A panel of the World Trade Organization (WTO) has ruled in favor of Russia in a dispute with Ukraine over Russia’s invoking of “national security” to bar Ukrainian products from accessing Central Asia via rail lines running through Russian territory. However, the panel, which issued a report of its findings on Apr. 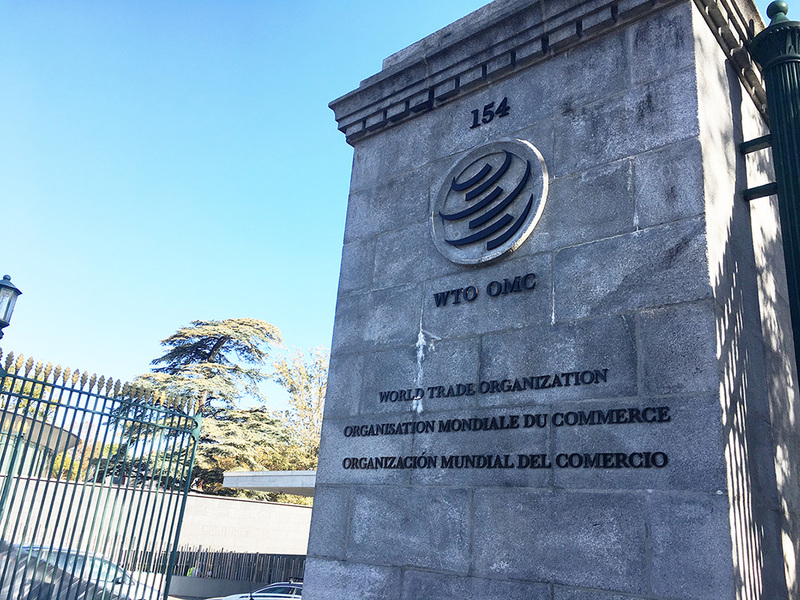 5, 2019, also rejected the Russian position that claims of “national security” are not justiciable by the WTO. As national elections approach later this year, Poland faces much controversy and division over the country’s entrenched conservative stance and ideals. 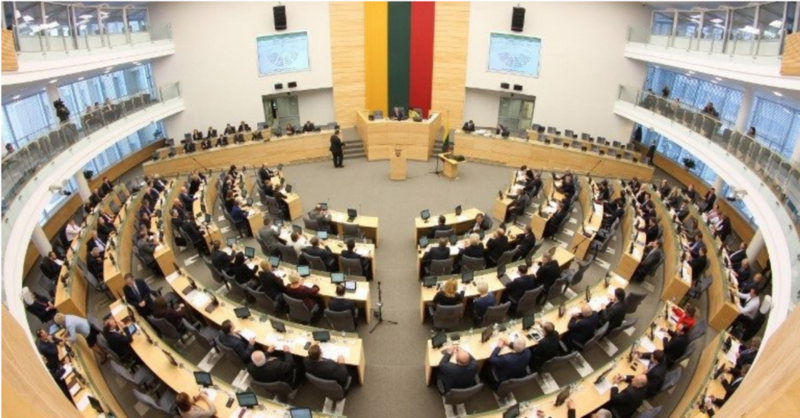 The present ruling power the Law and Justice Party, also known as PiS, has actively spread a platform of staunch traditionalist and Christian values since its rise to prominence in 2015. However, as its European Union neighbors increasingly favor more progressive politics, Poland confronts a widening gulf at home between those favoring the Christian fundamentalism driving the country’s leadership and those aiming to introduce more diversity and forward-looking politics into the agenda. 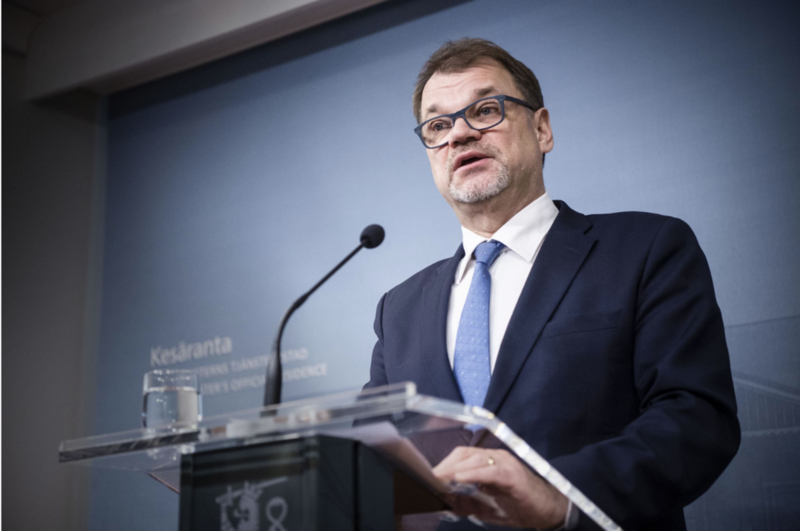 Prime Minister of Finland Juha Sipilä announced the resignation of his entire center-right government on Mar. 8, 2019, after it became clear that he would be unable to pass his government’s flagship social welfare, healthcare, and regional government reform package through the Parliament of Finland. On Monday, Mar. 11, the United States Treasury Department launched new sanctions against Russian-based bank Evrofinance Mosnarbank. The bank is notoriously linked to supporting the Nicolas Maduro regime in present control of Venezuela and represents a crucial tie between the governments in Moscow and Caracas. Evrofinance stands as yet another figure in the ongoing standoff between Russia and the United States. On Friday, March 1 Dimitar Kostov, the Bulgarian Central Bank Deputy Governor, announced his unexpected formal resignation from the post. Kostov, a key figure in Bulgaria’s impending transition into the Eurozone, had reportedly attempted to step down earlier last year but held off amidst Bulgaria’s ongoing negotiations with the EU regarding its financial ascendance into the European Banking Union. The resignation abruptly comes midway through a six-year term committed to in 2015, and leaves Bulgaria still underway in European Central Bank reviews to join the Eurozone. Two committees of the European Parliament (EP) voted on Feb. 27, 2019 to nominate Laura Codruţa Kövesi, Romania’s former anti-corruption chief, to head the European Union’s new European Public Prosecutor’s Office (EPPO). U.S. born investor Michael Calvey was recently detained in Russia on accusations of embezzlement and fraud in connection to Calvey’s private equity firm Baring Vostok Capital Partners. Calvey founded Baring Vostok in Russia in 1994, with the company allegedly having injected upwards of $3.7 billion into the Russian economy over the years. Given Baring Vostok’s significant stakeholder position in the Russian economy, the allegations facing Calvey and five other business affiliates create a wary uncertainty for other foreign investors and financiers in the country, unsettling prospects of future financial security in Russia. 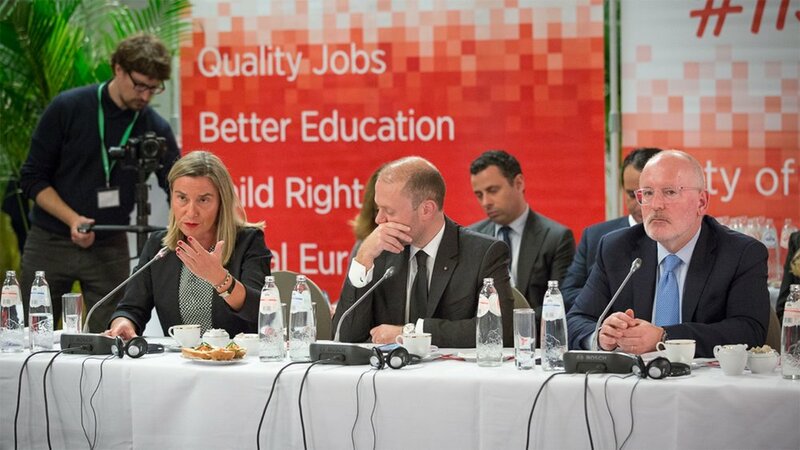 Ahead of the May 2019 European Union-wide elections for the 705 members of the next European Parliament, the European People’s Party (EPP) — the largest EU-wide political grouping of Christian democratic and center-right national political parties — has become embroiled in a heated internal debate over how to respond to a new anti-immigrant and anti-EU advertisement campaign launched by Hungarian Prime Minister Viktor Orban, whose right-wing Fidesz party is a member of the EPP. A summit of the Visegrad Group, commonly known as the V-4, slated to take place beginning on Monday, Feb. 18, was canceled amongst diplomatic uproar surrounding the Holocaust. The V-4 summit was set to occur in Israel and to be hosted by Israeli Prime Minister Benjamin Netanyahu. Following public remarks made by Prime Minister Netanyahu that unabashedly recognized Polish collaboration with the Nazis during the Second World War, Poland rescinded its participation. The other member states of the V-4-- Hungary, Czechia, and Slovakia-- who notably make up a nexus of rising nationalist sentiment, xenophobia, and antisemitism in Europe, will no longer be in formal attendance of the group summit in Israel. 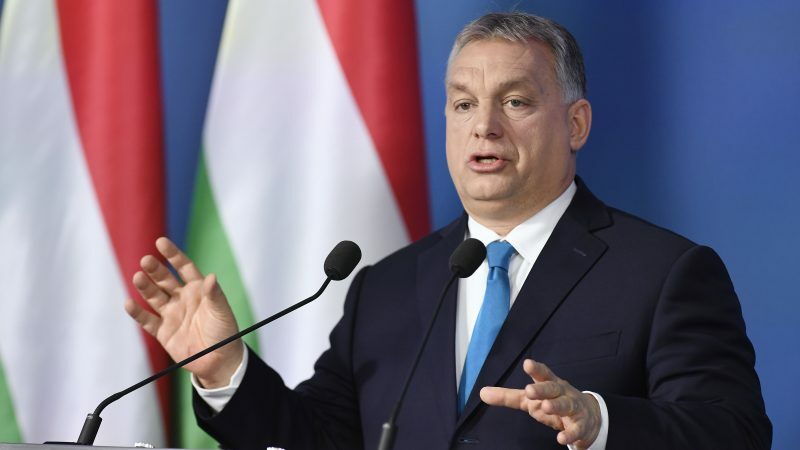 Hungarian Prime Minister Viktor Orbán recently announced a new pro-natalist policy to promote the country’s declining birth rate. The plan aims to provide financial incentives to Hungarian women in exchange for having more children. Pro-procreation policies have notoriously been implemented in various other countries, and have presented dubious outcomes. 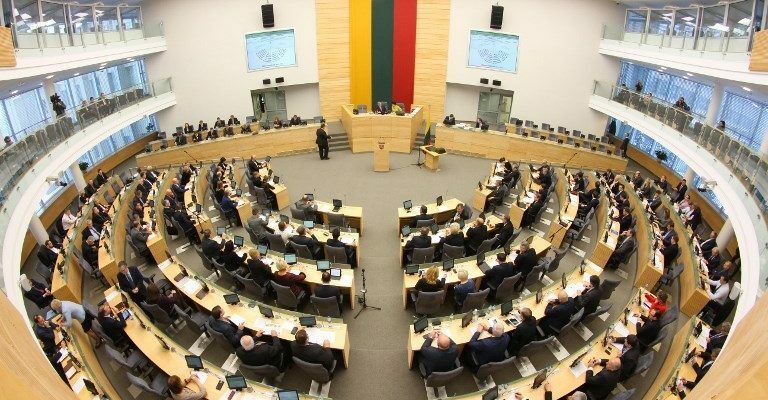 Lithuanian intelligence bodies published their annual National Threat Assessment Report on Feb. 6, 2019, with China being named and featured for the first time this year as “a country with interests detrimental to Lithuania’s security” alongside perennial national security threat, Russia. Wednesday, Feb. 6, 2019 marked a historic moment for the soon-to-be Republic of Northern Macedonia. After years of division and controversy surrounding Macedonia’s name and national cultural lineage with Greece, an agreement finally came forth to allow Macedonia to move forward with its accession to NATO, and with its internationally integrative and cooperative aspirations with the West and Europe at large. In a widening scandal over food safety standards in the European Union, the Polish government acknowledged that it exported 2.7 metric tons (2.98 short/US tons) of beef sourced from a slaughterhouse that was filmed illegally slaughtering cattle. The Chairman of Ukraine’s Opposition Platform For Life, Viktor Medvedchuk, has recently proposed a plan for peace between Ukraine and Russia. Medvedchuk is known to have close ties to Putin; Putin is the godfather of Medvedchuk’s daughter.